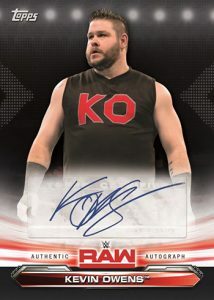 2019 Topps WWE Raw - Wrestling Card Checklist	Overall rating:	4	out of 5 based on 1	reviews. 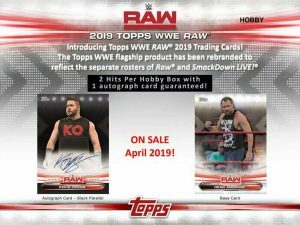 2019 Topps WWE Raw is a celebration of the WWE’s top brand of sports entertainment. 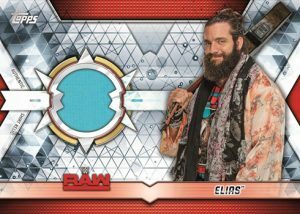 As one of the longest running episodic television shows in history, Raw has produced some of the most iconic moments and superstars in the history of the company. 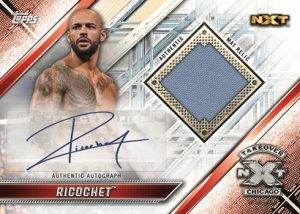 This release celebrates the cream of the current roster, as well as some of the up and coming stars of NXT and 205 Live. The set is also a celebration of the Women’s Evolution that has seen WWE’s women move past the hyper sexualized objectification of the pat to be a legitimate force within the company.